Why is one of the Richest Towns in America Asking for Money? Atherton is one of the wealthiest zip codes in the United States: home prices are in the millions and median incomes come in above a quarter million. So why are town leaders considering selling landmark naming rights to raise money? 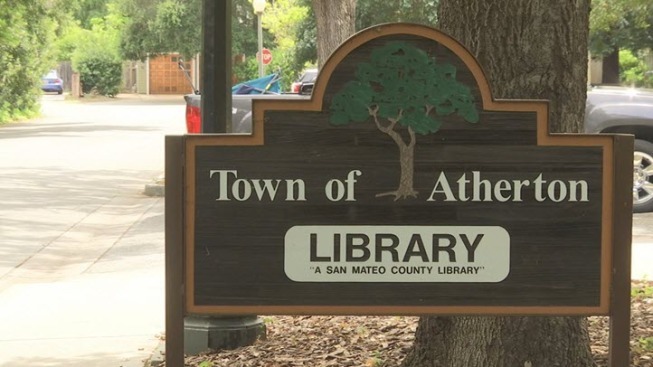 City council members have not made up their minds, but will be discussing a proposal to put people’s names on a water feature or an Atherton street sign during a meeting Wednesday. Atherton Now, the fundraising group for the new civic center, is floating the idea in an effort to raise more money. The town's Vice Mayor Mike Lempres says the group already raised about $5 million to go towards the $42 million project, most of which needs to be privately funded. "The thing to do is not to confuse the homes and residents with the city government itself. Our city government here does not have a large budget," Lempres said, explaining the city government buildings are pre-World War II and are in need of seismic safety upgrades and updating. Lempres says he and the council will ultimately decide which buildings and prices are appropriate, but naming certain areas may not end up on the table. "You certainly wouldn’t want anyone to have their name on the holding area in the police department, or in my view, anywhere else where there’s a specific government function that’s being done," Lempres said. Bobbie Seagren used to take her grandkids to Atherton Library, which would be expanded as part of the project. "I guess if you’ve got $5 million and you want the town hall named after you, more power to you," Seagren said, admitting she would not want her name on a building but she has friends in Atherton who probably could afford it. Atherton resident Angie Farned says she also knows people who would like their names on the buildings, but she has a different philosophy when it comes to charity. "I just think when you give it should be an anonymous gift," Farned said. Lempres says many of the donors have remained anonymous thus far, so he and the council members will gauge the community’s desire to have their names front and center. No decisions will be made during the Atherton City Council meeting on Wednesday. Lempres says they will only be discussing the proposal. Construction will not begin until at least May 2017.